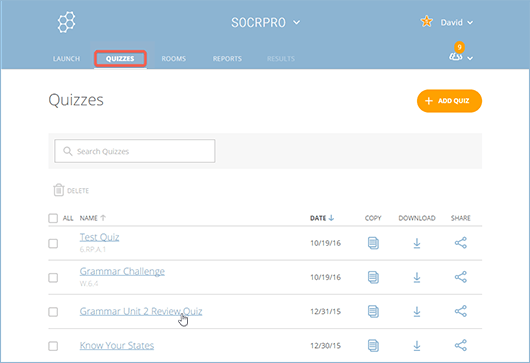 Select a quiz; doing so will cause a horizontal bar of related management options to appear below the quiz title. From the horizontal bar, click on Edit. Find the question containing the image you'd like to delete, then click Edit. Click on the trash can icon at the top-right of the image to remove it. Click Save or Save & Exit to save your changes.